Danese P. (Perkins) Davis, a long time Everett resident passed away at the age of 93 on Sunday October 29, 2017 at Mass General Hospital. Danese was born on March 10, 1924 in West Jefferson, North Carolina one of five children of the late Thomas Frank Perkins and Frances (Reeves) Perkins. Danese married Joseph R. Davis in 1955 who predeceased her in 2002. Danese graduated Carnagie High School in Marion, VA as the Class Valedictorian. She then went on to obtain her BA from Virginia State College and her MA in Early Childhood Education from Boston State College. Danese was an Elementary School Teacher employed by the Boston Public Schools until her retirement in 1987. Besides being a wife, mother and teacher; she was very active in numerous endeavors. She was a member of PSI Omega Chapter – Alpha Kappa Alpha Sorority, Virginia State Alumni – Boston Chapter, Former member – Board of Directors – Roxbury YMCA, Friends of Everett Libraries, acitve member of the Emmanuel Baptist Church , and Wednesday Nite Reading Group. Danese loved to dance especially doing the Electric and Cha Cha Slide. She loved music and her eclectic tastes ran from the Gaither Brothers, Trans Siberian Orchestra, Tom Jones, Aaron Neville to John Fogerty to Tina Turner, David Bowie and Pitbull. Besides her many involvements and interests, she was an avid reader and very veracious about Sudoku. She loved to shop, travel and had a sweet tooth for Pecan Pies, Brownie Sundaes, and Reese Peanut Butter Cups. She loved to bake her Coffee Cake, Snowball Cake and her homemade Fudge that was quite legendary. 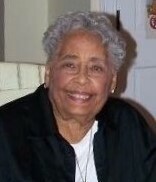 Danese was the beloved wife of the late Joseph R. Davis and the loving mother of Danese Michele Davis of Everett. She was the sister of Nathaniel D. Perkins of Teaneck, NJ and the late Elizabeth Goble, Thomas F. Perkins Jr. and Edward W. Perkins. She is also survived by her sister-in-law Cleo Perkins, NJ, a host of nieces, nephews, other relatives and friends. Please make donations in Danese’s name to the American Diabetes Association 260 Cochituate Rd #200, Framingham, MA 01701. Funeral Services at the Emmanuel Baptist Church 20 Hillside Ave Malden on Monday Evening at 7PM with a period of visitation prior to Services. Interment on Tuesday at Puritan Lawn Cemetery Peabody.